Poor Froggan. Falling for the same teleportation trick twice in a row in what is probably the biggest video game tournament in his life. Guy probably can’t sleep at night because he’s perpetually haunted by by Doublelift’s face. He had good sportsmanship the 1st time around, I’ll give him that. He was just shocked by the play when he threw that snowball and ended up being obliterated. The crowd was shocked, he was shocked, even Doublelift was shocked. I mean the timing on the spells had to be perfect for that to happen. Amazing. You’d think he learn from the same mistake thought right? Wrong. If its Seahawks Patriots superbowl again this year and Seattle throws a fatal pick when they should’ve ran the ball right at the end and end up shooting themselves in the foot, thats what he had here. Just making the same old mistakes. Can’t blame Doublelift for that. You chose the snowball, now deal with the consequence of being the loser. P.s- I had no idea how any of this works but its exciting to watch nerds dominate and die in horrible fashion. I don’t know if i can go to any of these type events because I’m afraid i wont fit in and look like a n00b. 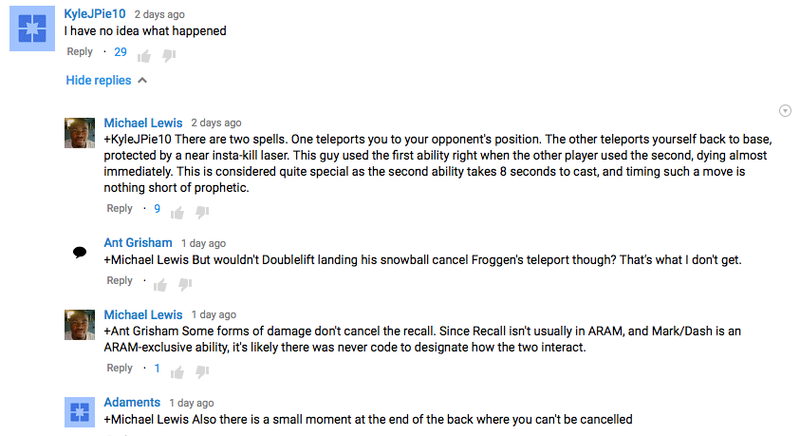 But if anyone wants an actual understanding of what happened i guess this guy had the answer. This entry was posted in Uncategorized and tagged Doublelift, Froggan, League Of Legends, Snowball, Superbowl on December 17, 2015 by edlee.